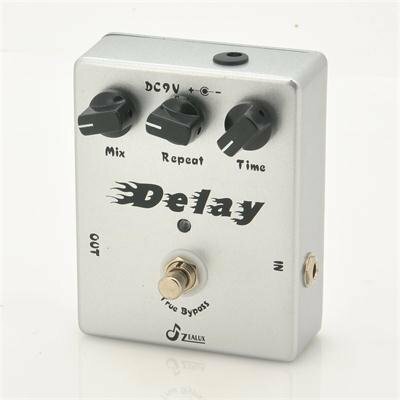 Successfully Added Delay Guitar Effects Pedal - 25ms-600ms Time Range to your Shopping Cart. Delay guitar effects pedal with Mix, Repeat and Time functions will help you on the way to becoming the next rock legend. Chinavasion has hit the center stage by introducing our own line of electronic music equipment so come and play with madness with this Delay Guitar Effects pedal. Wrapped in a solid and robust case the delay guitar pedal offers you to customize the mix, repeat and time sounds that are produced when you are rocking and rolling. With the delay guitar pedal and the simple controls, you can easily adjust up everything from tight slap to dramatic, long-tailed repeating echoes. 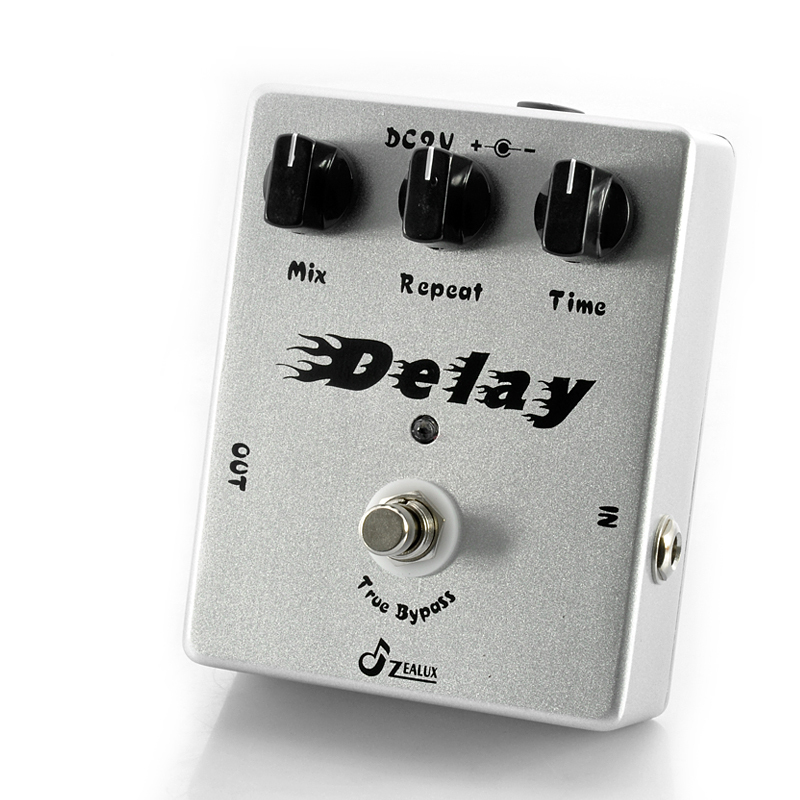 Delay is one of the most versatile effects you can add to your pedal board. A well-made Filter Circuit makes it sound similar to that of an Analog Delay, and it is easy to know the difference from the tone of the low-class digital delay. This delay guitar pedal allows you to adjust how long before the "echo" begins and how much depth and volume to give the echo. True bypass design to minimize the tone loss. If you're an electric guitarist, you've simply got to have delay. With a delay time range of between 25ms and 600ms you will be able to get that the stairway to heaven feel. Don’t be paranoid and break down the walls with this delay guitar pedals comes at a great wholesale price that you can purchase for yourself or purchase a quantity to sell on your online store. Order now and take advantage of the benefits that are offered by the leaders in electronics and cool gadgets, Chinavasion. Gostei, Acho que deveria ter mais acessórios para músicos!